The ruling comes after a five-day trial in July at which patients, health providers, state agency officials, bioethicists, cemetery directors and religious leaders got on the witness stand. Over the course of a nearly 30-minute hearing at a federal court in Austin on Wednesday, Ezra gave a synopsis of the ruling, calling the case "a very emotional topic." The requirement would have been challenging for health providers, in part because it would be difficult to find medical waste vendors willing to participate. In addition, Ezra expressed wariness about the state having to reach out to private cemeteries to help with fetal remain disposals. "The implementation of this law, as I have pointed out, would cause and, if allowed to go into effect, would be a violation of a woman's right to obtain a legal abortion under the law as it stands today," Ezra said. Abortion opponents have argued that the law is a means to bring human dignity to fetuses. 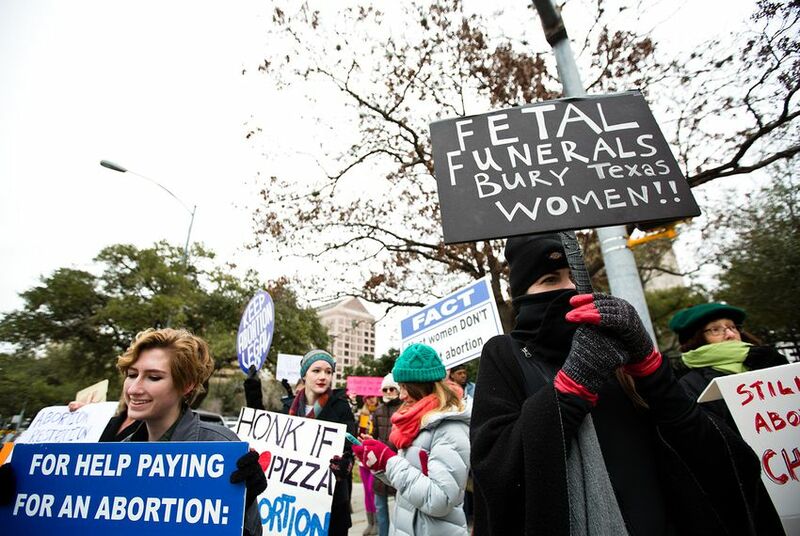 But reproductive rights advocates said it was another way for Texas to punish women who choose to have an abortion, and that the cost of the burials would be passed on to patients, making abortions harder to obtain for low-income Texans. But during the trial, state attorneys dropped their argument that SB 8 protects the health or safety of patients and plaintiffs' attorneys cast aside their arguments about costs to patients and providers. Texas Attorney General Ken Paxton said in a news release that the decision "is disappointing" but his office would continue fighting for the rule to be implemented. “I remain confident the courts will ultimately uphold the Texas law, which honors the dignity of the unborn and prevents fetal remains from being treated as medical waste," Paxton said. Joe Pojman, executive director of Texas Alliance for Life, an anti-abortion group, said that he is not surprised by Ezra's ruling but believes Paxton's office defended the law well. He took issue with Ezra saying access to abortion would be hindered. "Absolutely not true," Pojman said. "If the law were to go into effect, abortion would remain regularly available." Amy Hagstrom Miller, founder and president of Whole Woman’s Health and Whole Woman’s Health Alliance, said in a news release that the ruling is "a victory for all Texan women." Ezra's decision comes ahead of U.S. Senate confirmation hearings beginning Sept. 4 for President Donald Trump's Supreme Court nominee Brett Kavanaugh. If confirmed, Kavanaugh would replace Justice Anthony Kennedy, who announced his retirement in July. The prospect of Trump appointing a second Supreme Court justice has fueled speculation about the future of abortion policy, including the potential overturning of Roe v. Wade.